Katie’s expertise is in working with people at all levels across the organisation to develop the skills and behaviours needed to successfully grow the business. Prior to running her own consultancy, she worked in the careers service, the telecoms industry and the chemical sciences. She was responsible for leading projects across Europe Middle East and Africa and delivering programmes in the UK, France and China. Drawing on different perspectives from Social Anthropology, Human Resource Development and Humanistic Psychology, Katie works with individuals and teams to develop effective communication skills that build strong professional relationships. She brings her psychological knowledge of behavioural patterns and interpersonal relations to navigate the challenges we face in a rapidly changing work environment. Katie holds a Bachelors in Social Anthropology from the University of Sussex and a Masters in Human Resource Management from Westminster Business School, London. 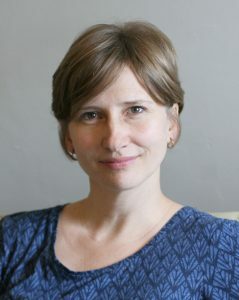 She is an associate executive coach with the Academy of Executive Coaching and a registered member of the British Association for Counselling and Psychotherapy.